The content of this website is aimed solely at your inner growth, your energetic step-up, the externalization of your creativity, your training on the science of conscious creation through the all-powerful “Morphogenesis” system and the volunteering of service for the spiritual evolution of our planet. In this sense, by having a “legal notice” kind of text being addressed at you, seems uncalled-for, cynical and materialistic, since, undoubtedly, you are an honest person, responsible, internally aware, well-intentioned, conscious and set on their decisions. The same applies to the factors of this website, therefore be absolutely certain that our relationship will unfold in the most harmonious and ideal way. The Law of Uniqueness demands the absolute respect towards every creative labour of spirit, since every creation comprises a reflection/mirroring of the unique individual wisdom and mental composition of its creator. - In the unlikely event of you being trained and implementing the knowledge of “Morphogenesis” meticulously, but without having the slightest hint of tactile result, we ask of you to get past us without any kind of criticism, acknowledging our good intentions. We have never come across such a case of failure to this date, but we do not take any karmic nor legal responsibility that our system works for everyone. - Use the all-powerful knowledge of “Morphogenesis” only in good intention and with complete harmlessness towards your fellow humans and all beings. Otherwise, we cannot guarantee your security nor that you will not be burdened karmically. - Always approach this website’s content with respect and positive mood and thought. 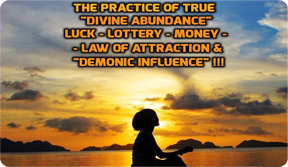 Do not give pieces of the knowledge you acquire from it to irrelevant people and do not refer to the website and your training when you are with people who are disposed negatively towards planetary service, inner knowledge and conscious creation. 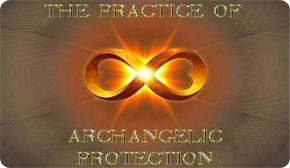 A thing like this will devitalize you with respect to energy and will lay you bear to the website’s and “Morphogenesis” all-powerful protective forces. - All in all, the practical use of “Morphogenesis” is rated as being absolutely safe for the trainees’ mental and physical health. Nevertheless, not being relatively authorised, the website’s factors disclaim any kind of responsibility held for any health problems that may occur to trainees during or after their training, which anyway, if they occur, most probably may be due to causes completely irrelevant to the training in “Morphogenesis”. The training in “Morphogenesis” must take place with the sole responsibility of the trainees, since, the only qualified person regarding health issues is their personal physician. A. People with serious mental or cerebral disorders, such as a bi-polar depressive, psychotic or epileptic history or background, whether they are aware of it and have received or are receiving the appropriate pharmaceutical or psychotherapeutic treatment, or whether they are ignoring it. B. People with serious cardiovascular or hormonal problems. For both of these categories, not only “Morphogenesis” but any kind of inner exercise, dealing with energy flow and/or intense concentration, visualization and emotions emersion may cause problems. The Morphogenesis System Online Training and/or “Morphogenesis” and/or “Morphogenesis System” is a Web Site (under the following domain names www.morphogenesissystem.com and www.thesecretlawofattractionmorhogenesis.com and which is comprised of various Web pages operated by Morphogenesis System Online Training and/or “Morphogenesis” and/or “Morphogenesis System” (these three names can be used interchangeably through out the whole text). 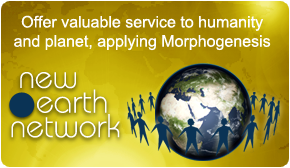 The Morphogenesis System Web Site is offered to you conditioned on your acceptance without modification of the terms, conditions, and notices contained herein. Your use of the Morphogenesis System Online training Web Site constitutes your agreement to all such terms, conditions, and notices. Morphogenesis System Online Training reserves the right to change the terms, conditions, and notices under which the Morphogenesis System Online Training Web Site is offered, including but not limited to the charges associated with the use of the Morphogenesis System On line Training Web Site. The Morphogenesis System Online Training Web Site may contain links to other Web Sites ("Linked Sites"). The Linked Sites are not under the control of Morphogenesis System Online Training and Morphogenesis System Online Training is not responsible for the contents of any Linked Site, including without limitation any link contained in a Linked Site, or any changes or updates to a Linked Site. Morphogenesis System Online Training is not responsible for webcasting or any other form of transmission received from any Linked Site. Morphogenesis System Online Training is providing these links to you only as a convenience, and the inclusion of any link does not imply endorsement by Morphogenesis System Online Training of the site or any association with its operators. As a condition of your use of the Morphogenesis System Online Training Web Site, you warrant to Morphogenesis System Online Training that you will not use the Morphogenesis System Online Training Web Site for any purpose that is unlawful or prohibited by these terms, conditions, and notices. You may not use the Morphogenesis System Online Training Web Site in any manner which could damage, disable, overburden, or impair the Morphogenesis System Online Training Web Site or interfere with any other party's use and enjoyment of the Morphogenesis System Online Training Web Site. You may not obtain or attempt to obtain any materials or information through any means not intentionally made available or provided for through the Morphogenesis System Online Training Web Sites. Morphogenesis System Online Training has no obligation to monitor the Communication Services. However, Morphogenesis System Online Training reserves the right to review materials posted to a Communication Service and to remove any materials in its sole discretion. Morphogenesis System Online Training reserves the right to terminate your access to any or all of the Communication Services at any time without notice for any reason whatsoever. Morphogenesis System Online Training reserves the right at all times to disclose any information as necessary to satisfy any applicable law, regulation, legal process or governmental request, or to edit, refuse to post or to remove any information or materials, in whole or in part, in Morphogenesis System Online Training' s sole discretion. Always use caution when giving out any personally identifying information about yourself or your children in any Communication Service Morphogenesis System Online Training does not control or endorse the content, messages or information found in any Communication Service and, therefore, Morphogenesis System Online Training specifically disclaims any liability with regard to the Communication Services and any actions resulting from your participation in any Communication Service. Managers and hosts are not authorized Morphogenesis System Online Training spokespersons, and their views do not necessarily reflect those Morphogenesis System Online Training. Morphogenesis System Online Training does not claim ownership of the materials you provide to Morphogenesis System Online Training (including feedback and suggestions) or post, upload, input or submit to any Morphogenesis System Online Training Web Site or its associated services (collectively "Submissions"). 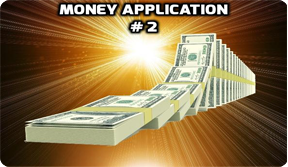 However, by posting, uploading, inputting, providing or submitting your Submission you are granting Morphogenesis System Online Training, its affiliated companies and necessary sublicensees permission to use your Submission in connection with the operation of their Internet businesses including, without limitation, the rights to: copy, distribute, transmit, publicly display, publicly perform, reproduce, edit, translate and reformat your Submission; and to publish your name in connection with your Submission. No compensation will be paid with respect to the use of your Submission, as provided herein. Morphogenesis System Online Training is under no obligation to post or use any Submission you may provide and may remove any Submission at any time in Morphogenesis System Online Training 's sole discretion. THE INFORMATION, SOFTWARE, PRODUCTS, AND SERVICES INCLUDED IN OR AVAILABLE THROUGH THE Morphogenesis System Online Training WEB SITE MAY INCLUDE INACCURACIES OR TYPOGRAPHICAL ERRORS. CHANGES ARE PERIODICALLY ADDED TO THE INFORMATION HEREIN. Morphogenesis System Online Training AND/OR ITS SUPPLIERS MAY MAKE IMPROVEMENTS AND/OR CHANGES IN THE Morphogenesis System Online Training WEB SITE AT ANY TIME. ADVICE RECEIVED VIA THE Morphogenesis System Online Training WEB SITE SHOULD NOT BE RELIED UPON FOR PERSONAL, MEDICAL, LEGAL OR FINANCIAL DECISIONS AND YOU SHOULD CONSULT AN APPROPRIATE PROFESSIONAL FOR SPECIFIC ADVICE TAILORED TO YOUR SITUATION. Morphogenesis System Online Training AND/OR ITS SUPPLIERS MAKE NO REPRESENTATIONS ABOUT THE SUITABILITY, RELIABILITY, AVAILABILITY, TIMELINESS, AND ACCURACY OF THE INFORMATION, SOFTWARE, PRODUCTS, SERVICES AND RELATED GRAPHICS CONTAINED ON THE Morphogenesis System Online Training WEB SITE FOR ANY PURPOSE. TO THE MAXIMUM EXTENT PERMITTED BY APPLICABLE LAW, ALL SUCH INFORMATION, SOFTWARE, PRODUCTS, SERVICES AND RELATED GRAPHICS ARE PROVIDED "AS IS" WITHOUT WARRANTY OR CONDITION OF ANY KIND. Morphogenesis System Online Training AND/OR ITS SUPPLIERS HEREBY DISCLAIM ALL WARRANTIES AND CONDITIONS WITH REGARD TO THIS INFORMATION, SOFTWARE, PRODUCTS, SERVICES AND RELATED GRAPHICS, INCLUDING ALL IMPLIED WARRANTIES OR CONDITIONS OF MERCHANTABILITY, FITNESS FOR A PARTICULAR PURPOSE, TITLE AND NON-INFRINGEMENT. Morphogenesis System Online Training reserves the right, in its sole discretion, to terminate your access to the Morphogenesis System Online Training Web Site and the related services or any portion thereof at any time, without notice. GENERAL To the maximum extent permitted by law, this agreement is governed by the laws of Greece and you hereby consent to the exclusive jurisdiction and venue of courts in Greece in all disputes arising out of or relating to the use of the Morphogenesis System Online Training Web Site. Use of the Morphogenesis System Online Training Web Site is unauthorized in any jurisdiction that does not give effect to all provisions of these terms and conditions, including without limitation this paragraph. You agree that no joint venture, partnership, employment, or agency relationship exists between you and Morphogenesis System Online Training as a result of this agreement or use of the Morphogenesis System Online Training Web Site. Morphogenesis System Online Training 's performance of this agreement is subject to existing laws and legal process, and nothing contained in this agreement is in derogation of Morphogenesis System Online Training 's right to comply with governmental, court and law enforcement requests or requirements relating to your use of the Morphogenesis System Online Training Web Site or information provided to or gathered by Morphogenesis System Online Training with respect to such use. If any part of this agreement is determined to be invalid or unenforceable pursuant to applicable law including, but not limited to, the warranty disclaimers and liability limitations set forth above, then the invalid or unenforceable provision will be deemed superseded by a valid, enforceable provision that most closely matches the intent of the original provision and the remainder of the agreement shall continue in effect. Unless otherwise specified herein, this agreement constitutes the entire agreement between the user and Morphogenesis System Online Training with respect to the Morphogenesis System Online Training Web Site and it supersedes all prior or contemporaneous communications and proposals, whether electronic, oral or written, between the user and Morphogenesis System Online Training with respect to the Morphogenesis System Online Training Web Site. A printed version of this agreement and of any notice given in electronic form shall be admissible in judicial or administrative proceedings based upon or relating to this agreement to the same extent an d subject to the same conditions as other business documents and records originally generated and maintained in printed form. It is the express wish to the parties that this agreement and all related documents be drawn up in Greek. Morphogenesis System Online Training Makes no representation that materials on this site are appropriate or available for all countries, and accessing them from territories where their contents are illegal is prohibited. Those who choose to access this site from international locations do so on their own initiative and are responsible for compliance with local laws. All contents of the Morphogenesis System Online Training Web Site are: Copyright 2009 by MSOT and/or its suppliers. All rights reserved. We at Morphogenesis System Online Training and our affiliated companies worldwide are committed to respecting your online privacy and recognize your need for appropriate protection and management of any personally identifiable information (”Personal Information”) you share with us. Morphogenesis System Online Training is committed to protecting your privacy and developing technology that gives you the most powerful and safe online experience. Personal Information means any information that may be used to identify an individual, including, but not limited to, a first and last name, a home or other physical address and an email address or other contact information, whether at work or at home. In general, you can visit Morphgenesis System Online Training’ s’ Web pages without telling us who you are or revealing any Personal Information about yourself. This Statement of Privacy applies to the Morphogenesis System Online Training Web site and governs data collection and usage. By using the Morphogenesis System Online Training website, you consent to the data practices described in this statement. The Morphogenesis System Online Training and/or “Morphogenesis” and/or “Morphogenesis System” is a Web Site (under the following domain names www.morphogenesissystem.com and www.thesecretlawofattractionmorphogenesis.com and which is comprised of various Web pages operated by Morphogenesis System Online Training and/or “Morphogenesis” and/or “Morphogenesis System” (these three names can be used interchangeably through out the whole text). Morphogenesis System Online Training collects personally identifiable information, such as your e-mail address, name, home or work address or telephone number. Morphogenesis System Online Training also collects anonymous demographic information, which is not unique to you, such as your ZIP code, age, gender, preferences, interests and favourites. There is also information about your computer hardware and software that is automatically collected by Morphogenesis System Online Training. This information can include: your IP address, browser type, domain names, access times and referring Web site addresses. This information is used by Morphogenesis System Online Training for the operation of the service, to maintain quality of the service, and to provide general statistics regarding use of the Morphogenesis System Online Training Web site. Please keep in mind that if you directly disclose personally identifiable information or personally sensitive data through Morphogenesis System Online Training public message boards, this information may be collected and used by others. Note: Morphogenesis System Online Training does not read any of your private online communications. Morphogenesis System Online Training encourages you to review the privacy statements of Web sites you choose to link to from Morphogenesis System Online Training so that you can understand how those Web sites collect, use and share your information. Morphogenesis System Online Training is not responsible for the privacy statements or other content on Web sites outside of the Morphogenesis System Online Training and Morphogenesis System Online Training family of Web sites. Morphogenesis System Online Training collects and uses your personal information to operate the Morphogenesis System Online Training Web site and deliver the services you have requested. Morphogenesis System Online Training also uses your personally identifiable information to inform you of other products or services available from Morphogenesis System Online Training and its affiliates. Morphogenesis System Online Training may also contact you via surveys to conduct research about your opinion of current services or of potential new services that may be offered. Morphogenesis System Online Training does not sell, rent or lease its customer lists to third parties. Morphogenesis System Online Training may, from time to time, contact you on behalf of external business partners about a particular offering that may be of interest to you. In those cases, your unique personally identifiable information (e-mail, name, address, telephone number) is not transferred to the third party. In addition, Morphogenesis System Online Training may share data with trusted partners to help us perform statistical analysis, send you email or postal mail, provide customer support, or arrange for deliveries. All such third parties are prohibited from using your personal information except to provide these services to Morphogenesis System Online Training, and they are required to maintain the confidentiality of your information. Morphogenesis System Online Training does not use or disclose sensitive personal information, such as race, religion, or political affiliations, without your explicit consent. Personally Identifiable Information collected by Morphogenesis System Online Training may also be used for other purposes, including but not limited to site administration, troubleshooting, processing of e-commerce transactions, administration of sweepstakes and contests, and other communications with you. Certain third parties who provide technical support for the operation of our site (our Web hosting service for example) may access such information. We will use your information only as permitted by law. In addition, from time to time as we continue to develop our business, we may sell, buy, merge or partner with other companies or businesses. In such transactions, user information may be among the transferred assets. We may also disclose your information in response to a court order, at other times when we believe we are reasonably required to do so by law, in connection with the collection of amounts you may owe to us, and/or to law enforcement authorities whenever we deem it appropriate or necessary. Please note we may not provide you with notice prior to disclosure in such cases. Morphogenesis System Online Training keeps track of the Web sites and pages our customers visit within Morphogenesis System Online Training, in order to determine what Morphogenesis System Online Training are the most popular. This data is used to deliver customized content and advertising within Morphogenesis System Online Training to customers whose behaviour indicates that they are interested in a particular subject area. Morphogenesis System Online Training Web sites will disclose your personal information, without notice, only if required to do so by law or in the good faith belief that such action is necessary to: (a) conform to the edicts of the law or comply with legal process served on Morphogenesis System Online Training or the site; (b) protect and defend the rights or property of Morphogenesis System Online Training; and, (c) act under exigent circumstances to protect the personal safety of users of Morphogenesis System Online Training, or the public. To the extent that you do provide us with Personal Information, Morphogenesis System Online Training wishes to maintain accurate Personal Information. Where we collect Personal Information from you on the Web, our goal is to provide a means of contacting Morphogenesis System Online Training should you need to update or correct that Information. If for any reason those means are unavailable or inaccessible, you may send updates and corrections about your Personal Information to info@morphogenesis.com and we will make reasonable efforts to incorporate the changes in your Personal Information that we hold as soon as practicable. The Morphogenesis System Online Training Web site use "cookies" to help you personalize your online experience. A cookie is a text file that is placed on your hard disk by a Web page server. Cookies cannot be used to run programs or deliver viruses to your computer. Cookies are uniquely assigned to you, and can only be read by a web server in the domain that issued the cookie to you. One of the primary purposes of cookies is to provide a convenience feature to save you time. The purpose of a cookie is to tell the Web server that you have returned to a specific page. For example, if you personalize Morphogenesis System Online Training pages, or register with Morphogenesis System Online Training site or services, a cookie helps Morphogenesis System Online Training to recall your specific information on subsequent visits. This simplifies the process of recording your personal information, such as billing addresses, shipping addresses, and so on. When you return to the same Morphogenesis System Online Training Web site, the information you previously provided can be retrieved, so you can easily use the Morphogenesis System Online Training features that you customized. You have the ability to accept or decline cookies. Most Web browsers automatically accept cookies, but you can usually modify your browser setting to decline cookies if you prefer. If you choose to decline cookies, you may not be able to fully experience the interactive features of the Morphogenesis System Online Training services or Web sites you visit. Morphogenesis System Online Training secures your personal information from unauthorized access, use or disclosure. Morphogenesis System Online Training secures the personally identifiable information you provide on computer servers in a controlled, secure environment, protected from unauthorized access, use or disclosure. When personal information (such as a credit card number) is transmitted to other Web sites, it is protected through the use of encryption, such as the Secure Socket Layer (SSL) protocol. Morphogenesis System Online Training does not knowingly collect or solicit Personally Identifiable Information from or about children under 18 except as permitted by law. If we discover we have received any information from a child under 18 in violation of this policy, we will delete that information immediately. If you believe Morphogenesis System Online Training has any information from or about anyone under 18, please contact us at the address listed below. Morphogenesis System Online Training will occasionally update this Statement of Privacy to reflect ours and customer feedback. Morphogenesis System Online Training encourages you to periodically review this Statement to be informed of how Morphogenesis System Online Training is protecting your information. We are committed to privacy are actively involved in and support current industry initiatives to preserve individual privacy rights on the Internet. Protecting your privacy online is an evolving area, and Morphogenesis System Online Training Web sites are constantly evolving to meet these demands. While we cannot guarantee privacy perfection, we will address any issue to the best of our abilities as soon as possible. Morphogenesis System Online Training welcomes your comments regarding this Statement of Privacy. If you believe that Morphogenesis System Online Training has not adhered to this Statement, please contact Morphogenesis System Online Training at info@morphgenesissystem.com We will use commercially reasonable efforts to promptly determine and remedy the problem.